5 Ways a Custom CRM System Can Grow Your Business – Pacific Street Inc.
Perhaps you’ve heard about CRM (Customer Relationship Management) systems before, and maybe you’ve even used one, but haven’t quite determined what the fuss is all about. To put it simply, the fuss is about customization. The single greatest thing about a CRM is that it can be configured to do so many different things – saving your business time and money, as well as quite a bit of frustration and agony. Your contact information, sales data, marketing analytics, communications, and business reports can all be accessed from this one platform that serves as a single source of truth connecting all aspects of your business. Because so much information is contained in the same system within a searchable format, you can keep track of everything with less effort. the process of entering data and processing it for business. Since your CRM can replace or synchronize data with other software you use, steps are eliminated from your old internal processes, and are no longer subject to multiple levels of human error along the way. tedious tasks. One of the most powerful aspects of a CRM system is its ability to automate mundane tasks. With the help of a CRM professional, your CRM can be configured to automatically update records, send notifications, deliver customized sales documents and marketing communications, and handle complex coordination tasks based on selected criteria. on aspects of your business you didn’t know were even trackable, in real time. A CRM professional can mold your system to your specific business processes – so you’re not working around a static system that doesn’t relate to how you do business. This means all your reports–which, by the way, are always populated with current data and available at the touch of a button–show the data that matters to your business. your team to collaborate with ease, to keep on top of their work, and to connect better with customers – all while you see the benefits of increased sales, improved employee morale, and greater visibility from a management standpoint. Managers are better able to support their team, and employees feel a greater sense of achievement and purpose. These 5 effects of a custom CRM solution will shave hours of tedious busywork off of your team member’s days, allowing them to focus on the sales-generating work you hired them for and driving more business. Motivation will soar in the growing successes and smoother workflows. And you’ll have greater visibility of your organization’s strengths and weaknesses, allowing you to continue to refine and optimize your business for maximum ROI. 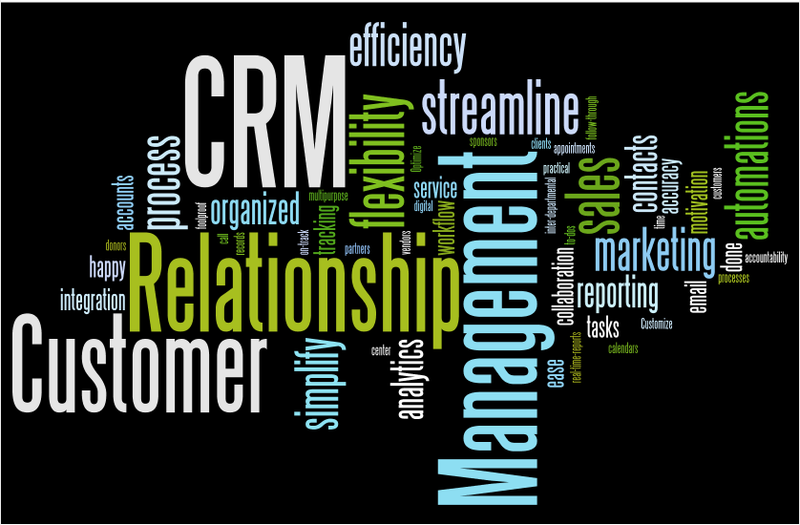 Interested in a custom CRM solution? If you’re interested in deploying a CRM solution for your company, be sure to contact a professional CRM Consultant such as Pacific Street Inc. to guide you in the planning and successful implementation of a solution customized to your needs. Get in touch today! ← 5 Reasons CRM Deployments Fail, and how to avoid them.